You want to smoke with your toes? Just ask ths guy. 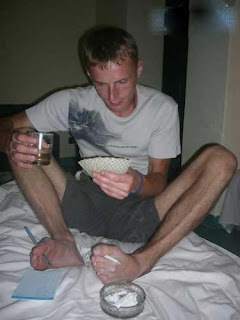 Not only can he concentrate on the cards, he can smoke with one foot and write with the other. Just curious how he gets the cigarette to his mouth. Talented guy.